We finally managed to venture out to Seymour to check out Fear Fair! And I'm left with one burning question: Why the hell have I not been here before?! Since we had never been to Fear Fair before, we took a former employee along with us. 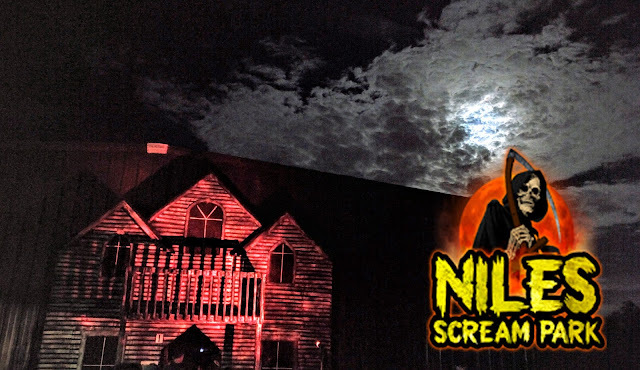 Throughout the experience, he supplied us with little tidbits here and there that helped us get an idea of the history of the haunt -- and we loved every bit. One thing you notice right off the bat with Fear Fair is their attention to detail. Which, if you've read any of my reviews, you know detail goes a long way with me. And Fear Fair has detail. Lots of detail. An elevator scene at the beginning really sets the tone and feel. And a New Orleans/Bourbon Street scene that is second to none. Don't even get me started on how much I loved the swampy bayou scene. Man, was that cool! As for actors, I'm happy to report that every actor I encountered was totally into what they were doing. And that's always a plus. I'll take live actors over animated props any day of the week. So a big kudos to Fear Fair's scare actors on bringing it. 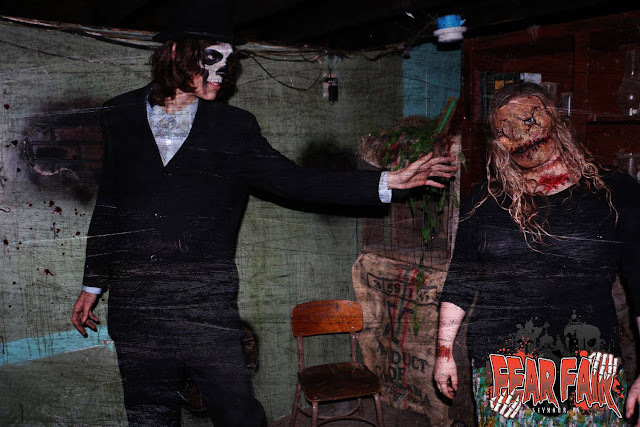 In the end, Fear Fair is a haunt that I have no choice but to make it 5 Skulls and a Must See for the 2016 season. If you haven't been to Fear Fair, please try and make the trip. It's so worth it!